Unlike the satirical “GTA” games set in modern times, “Red Dead Redemption 2” is a gritty tale of American outlaws facing modernisation at the turn of the 20th century. 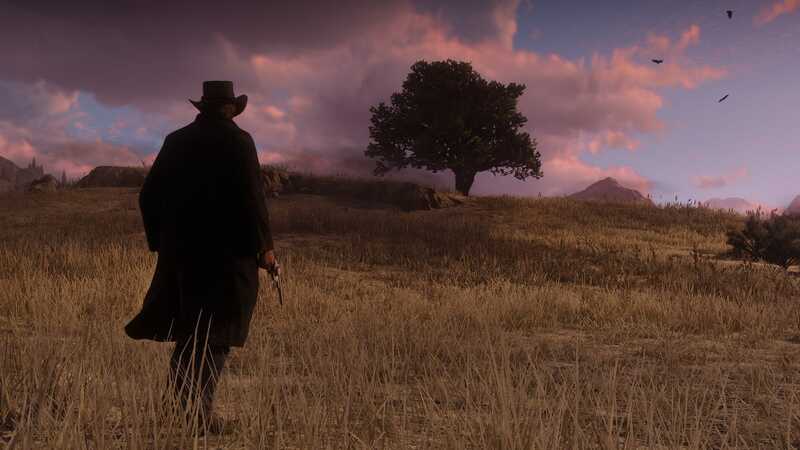 Rockstar Games isn’t known for pumping out games. You may recall that the latest “GTA” game came out in 2013 – that’s the most recent release from Rockstar Games. Thus, the upcoming launch of “Red Dead Redemption 2” is a Pretty Big Deal. You might even call it the most-anticipated game of 2018 – it’s scheduled to launch for Xbox One and PlayStation 4 on October 26. So, what’s all the fuss all about? Isn’t it basically “Grand Theft Horse”? Let’s dive in. 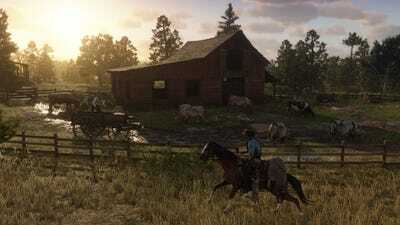 Like the “GTA” series, “Red Dead Redemption 2” is a third-person action game set in a vast, open-world environment. 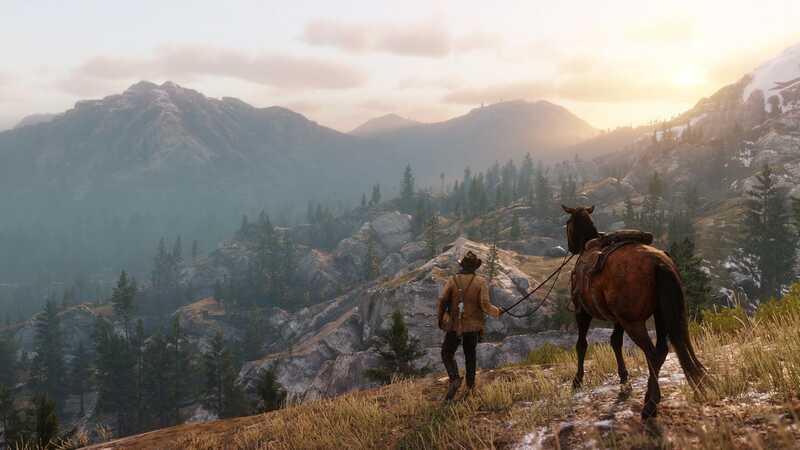 In a way, “Red Dead Redemption 2” is a sequel to “GTA V” — it’s the latest iteration of the same third-person action games Rockstar has been making for years. Rockstar Games/Take-Two Interactive‘Red Dead Redemption 2’ uses a similar mini-map in the lower left corner that previous games from Rockstar have used. Rockstar GamesInstead of breaking away from the famous Van der Linde gang, like in the first ‘Red Dead Redemption’ game, Morgan is a leader in the pack of outlaws — and you’re in control of him. 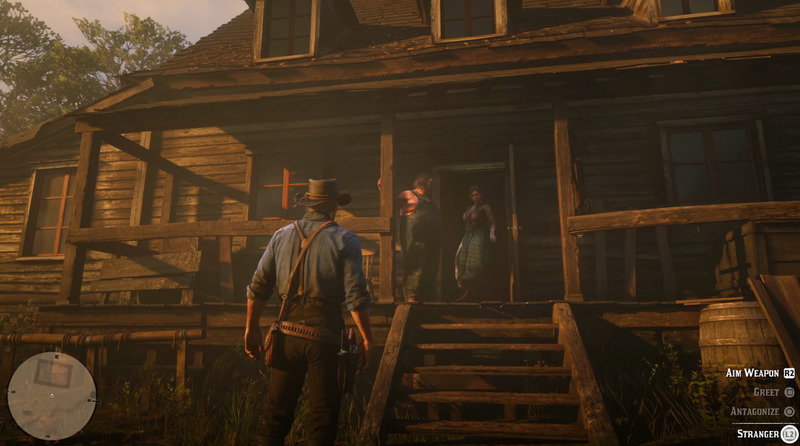 ‘Red Dead Redemption’ protagonist John Marston and his family even make an appearance. 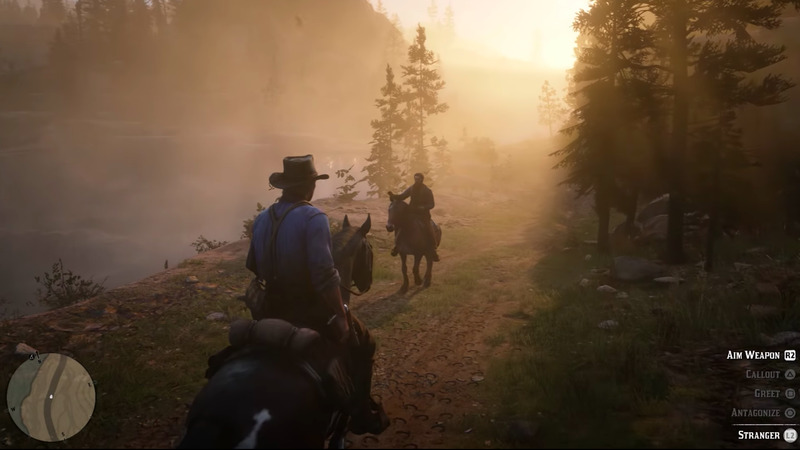 Rockstar Games/Take-Two InteractiveThough Morgan is working alongside outlaws, it sounds like ‘Red Dead Redemption 2’ will offer plenty of options for players to choose between saint or sinner. 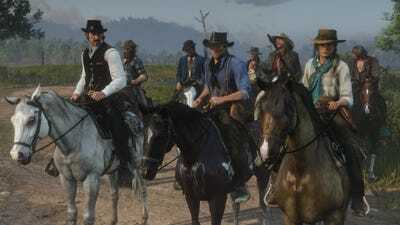 The story of “Red Dead Redemption 2” is essentially a road story: Morgan and the Van der Linde gang are on the run after a train robbery goes wrong. 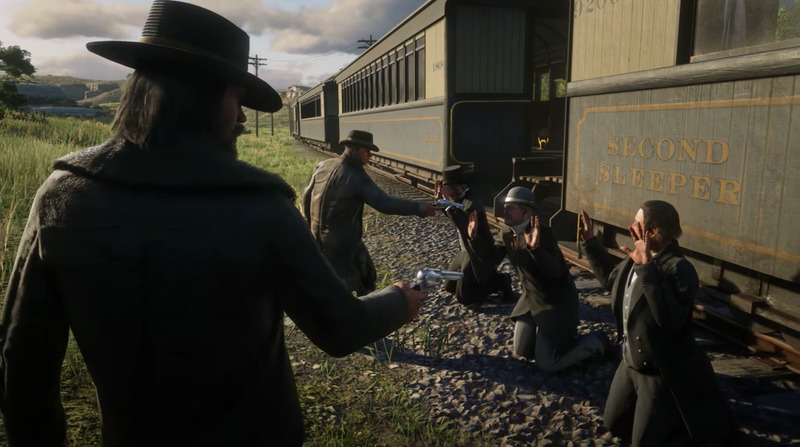 Rockstar Games/Take-Two InteractiveA train robbery shown in the latest trailer; it’s not clear if this is the big one that went wrong. In order to survive, on the run from US Marshals and bounty hunters, the gang is forced to keep moving across the American Frontier. 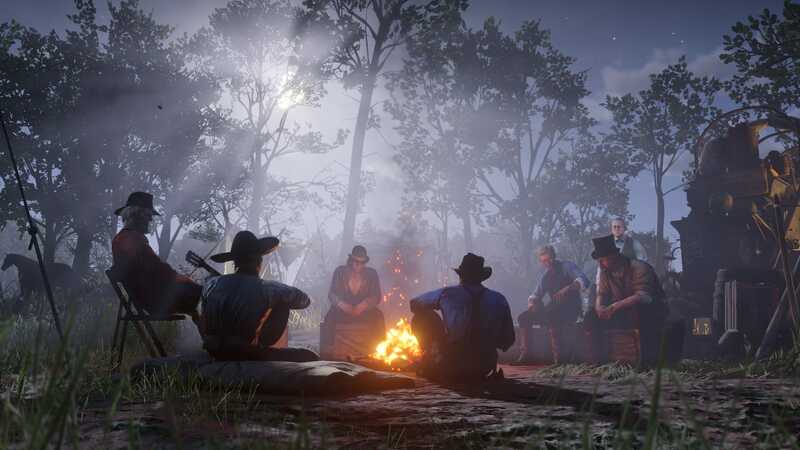 Along the way, the gang of outlaws does what gangs of outlaws do: They rob and steal and murder. Rockstar Games/Take-Two InteractiveSuch is the life of an outlaw. 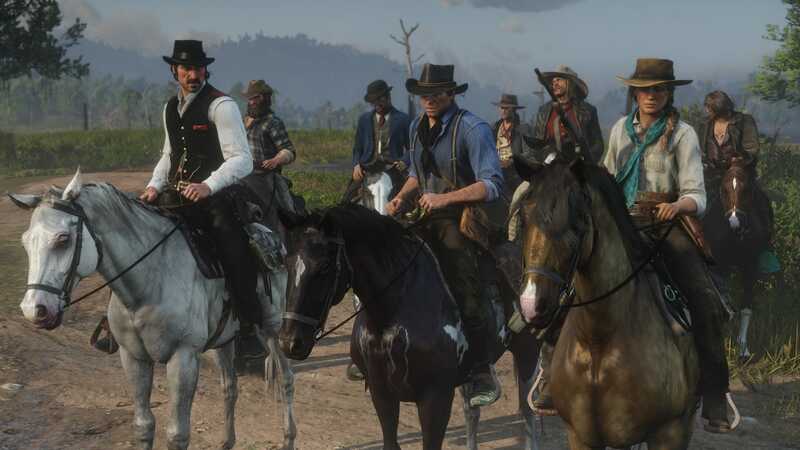 It looks like there’s going to be a lot of robbing and stealing. Rockstar GamesDespite Morgan’s gang affiliations and outlaw life, ‘Red Dead Redemption 2’ features a morality system that allows players to choose exactly how brutal they want to be. In each new place the gang arrives, a home base is set up. That home base acts as a kind of pause between adventures — you can speak to other gang members, eat, find side missions, play card games, and more. 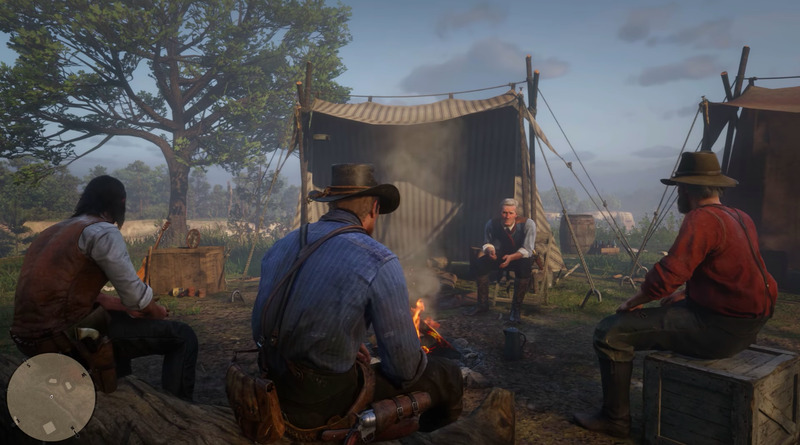 Rockstar Games/Take-Two InteractiveThe camps are brimming with characters and colour — some of the best stuff in Rockstar’s game worlds. The gang is a family to the game’s main character, Arthur Morgan, and that will no doubt play a role in the game’s story. How far will you go to protect the gang? 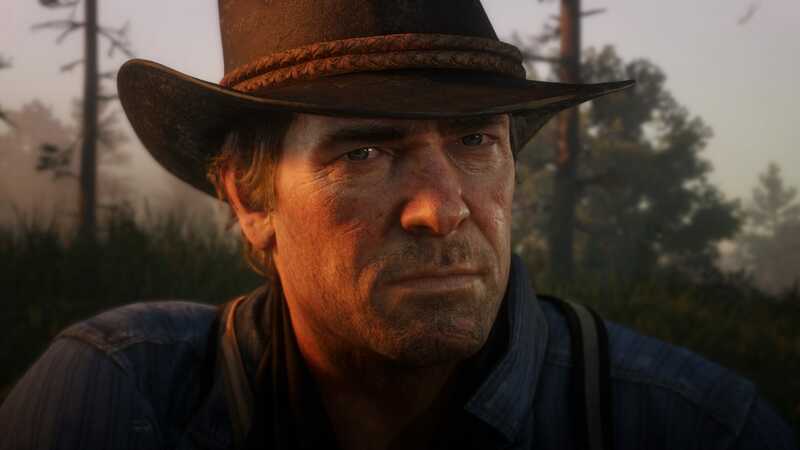 Rockstar Games/Take-Two InteractiveIt’s not clear if there are game-altering decisions you have to make as the player, but it wouldn’t be a huge surprise. 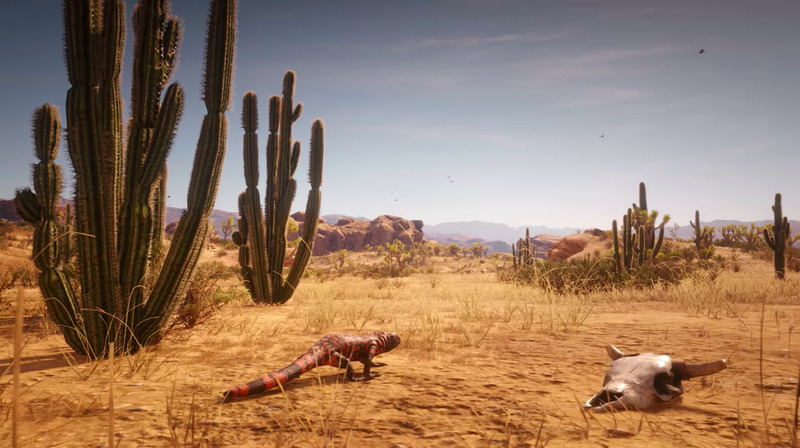 If you couldn’t tell by now, “Red Dead Redemption 2” is clearly a visual stunner. It’s the first game from Rockstar that’s specifically built for the Xbox One and PlayStation 4 generation of consoles. 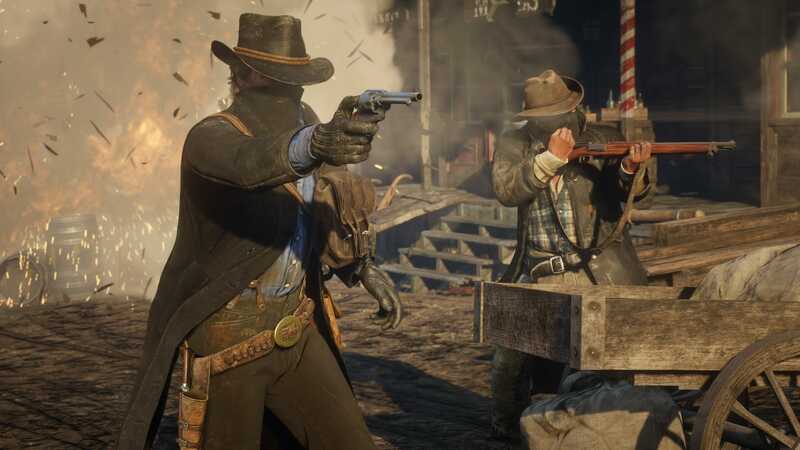 Rockstar Games/Take-Two Interactive‘Red Dead Redemption 2’ is optimised for both the PlayStation 4 Pro and Xbox One X, with 4K and HDR visuals. And those visuals are getting demonstrated in a variety of different environments — as Morgan and the gang move across America, the landscape changes dramatically. 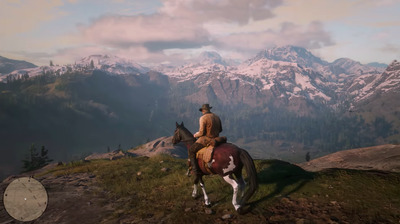 Rockstar Games/Take-Two InteractiveBig sky country! 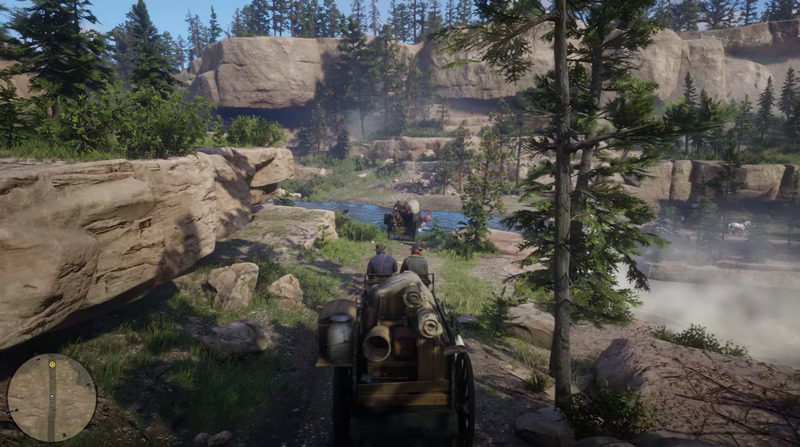 It looks like you’ll be personally responsible for escorting the gang from place to place, as demonstrated by this wagon train. Rockstar Games/Take-Two InteractiveThe path is certain to be fraught with danger. 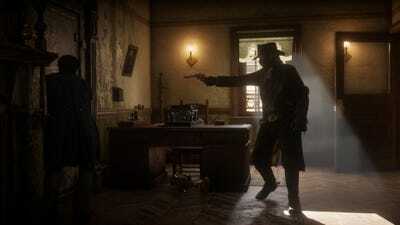 Rockstar Games/Take-Two InteractiveYou could pull your gun, but why would you in this instance? ‘Red Dead Redemption 2’ aims to offer more options, thankfully. A different situation is offered here, with a total stranger approaching on a horse. You could simply compliment the rider on his horse — or you could fire a shot into the air to warn him to back up. Or you could do nothing! The point is, you have choices. Rockstar Games/Take-Two InteractiveThe contextual interaction options have changed (in the lower right corner) from the previous experience because the interaction is different. It’s a subtle, important addition that makes the world appear more interactive. Rockstar says “Red Dead Redemption 2” has the largest, most complex world of any of its previous games. What we don’t know about the game far outweighs what we do. 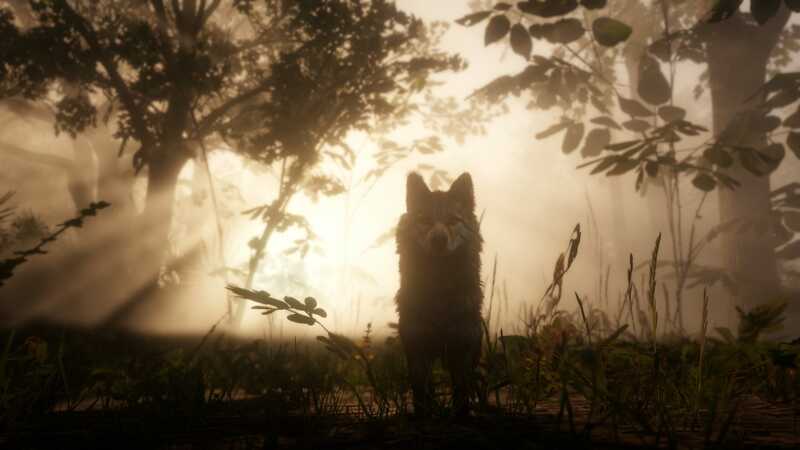 Rockstar Games/Take-Two InteractiveThe sprawling wilderness of ‘Red Dead Redemption 2’ is full of animals that we’ve barely seen.